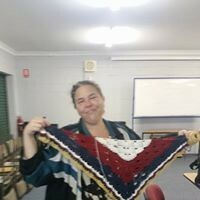 Hilton Street Hookers are a small community based crochet group supported by CDS Stanthorpe. We currently work out of 15 Hilton Street, thanks to CDS. Coordinated by Heidi Noble, with Steph Bryan and Andra Turner as support staff. The group started out as an outlet for getting to know more people. 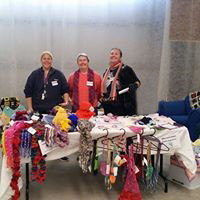 Our mission is FRIENDSHIP THROUGH CROCHET and we are an inclusive group that prides itself on its family atmosphere as well as learning skills and providing an outlet for many members to get out and join in. Most of our members have children, all who are welcomed and included with one family incorporating their homeschool program into the weekly group meets. We also welcome husbands and partners to join in making us very family orientated. 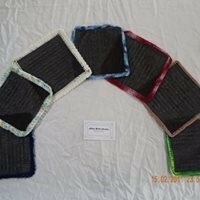 As a group we create small knee rugs with the intention to deliver them to local charities and associated organizations. This is our way of giving back. 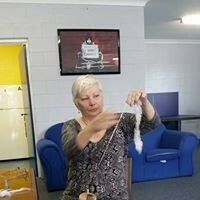 Most of our yarn and materials are donated by members as well as having the wider community donating yarn from craft room clear outs. 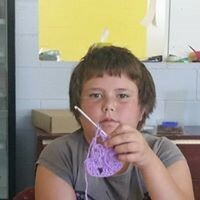 We have been blessed to receive all yarn for our community projects as donations. This year we participated in the Stanthorpe Snowflakes festival with a stall. 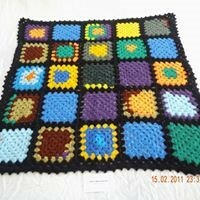 All moneys raised go back into yarn and materials for the members. 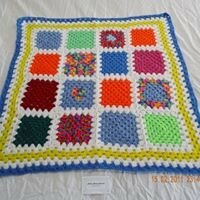 This keeps cost down for our members and offers everyone the opportunity to crochet as much as they chooses. Our members are at differing levels and all are willing to teach, whether it be a specific technique, reading patterns or the basics.